Childhood psychotic symptoms are not uncommon, but lack an evidence-based diagnostic approach. Hallucinations, delusions and other psychotic symptoms, without endangered vital symptoms, can be the result of a primary psychiatric disorder or can be the presenting symptom of an underlying somatic disease. It is important to discriminate between these origins because their diagnostic and therapeutic approaches differ substantially. We searched the existing literature to present a first overview of warning symptoms of underlying somatic disease in children with psychotic symptoms. We obtained data through a study of major textbooks and guidelines, and through a systematic review in PubMed, Embase and PsycINFO databases. We included case reports, cohort studies, and reviews. Results show that symptoms related to an underlying somatic disease are quite diverse and resemble symptoms of a primary psychotic process to a large extent. So there exist no (new) early warning signs. These findings are, crucial as they are mainly in contrast to current common knowledge and make the differential diagnosis even more critical and complex. 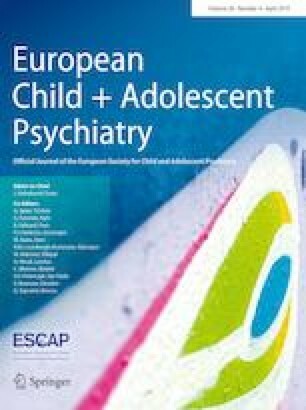 A further prospective cohort study is necessary in an attempt to create a diagnostic algorithm for psychotic symptoms in children. The authors declare that this manuscript does not contain clinical studies or patient data. The authors claim that they have no conflict of interest.